Poutine is a comfort food dish that originated in Quebec, Canada. It consists of fries, gravy and cheese curds, and is a common fast-food dish found throughout Canada. 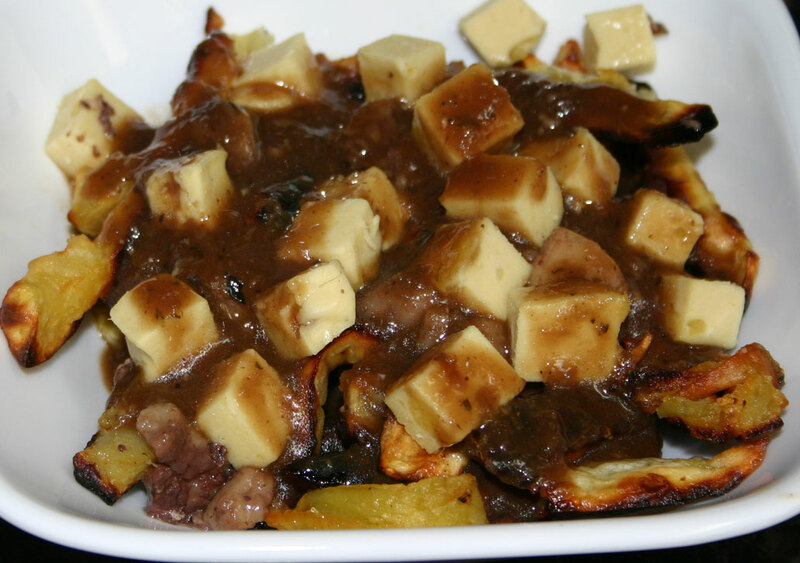 In honour of the week of April 18 – 25 2015 being Calgary’s Poutine Week, I decided that I was going to cook an Autoimmune Protocol version of this classic Canadian dish to share with my 2 housemates. 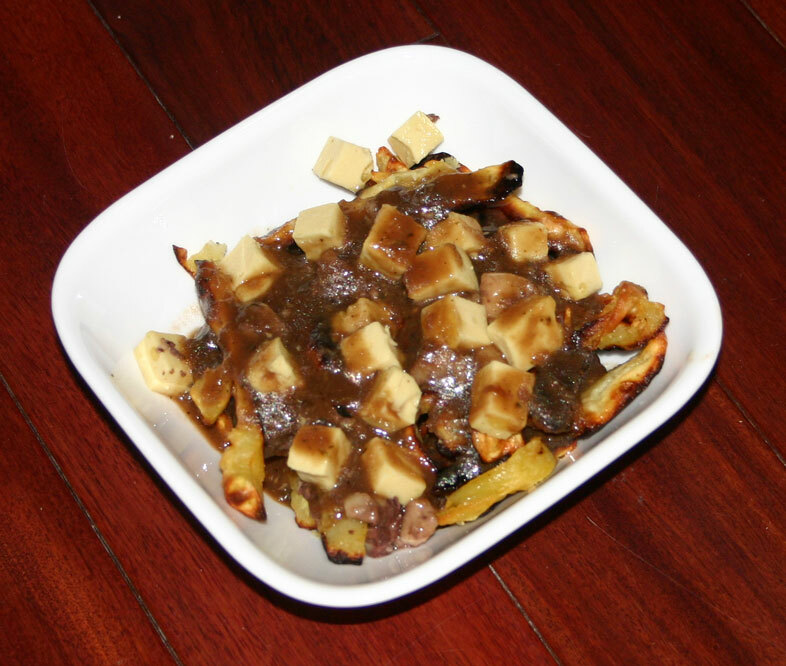 I had been thinking about recreating this dish for a long time – several months at least, and Poutine Week seemed the ideal time to make it. 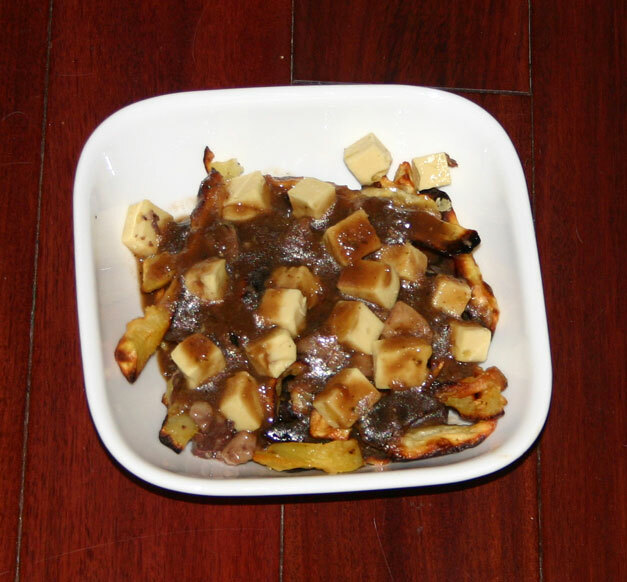 Of course, seeing that I am both Celiac and allergic to dairy, and I am also practicing the AIP (Autoimmune Protocol), an anti-inflammatory and intestinal healing lifestyle, I needed to make a poutine that I could also eat… and that meant that the traditional poutine of French-fries, flour-thickened gravy and cheese curds was totally out of the question. I decided that white (Japanese) sweet potato fries would make a perfect substitute for the (nightshade containing) french-fries. 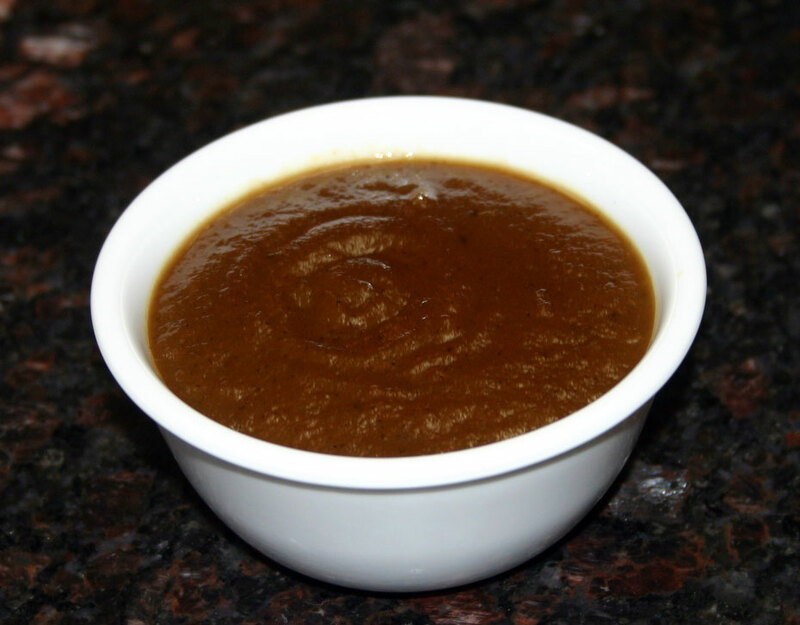 The gravy was a fairly easy substitute to make – I made a rich onion gravy similar to my Simple Gravy recipe that was thickened with tapioca starch, and flavoured with caramelized red onion and beef bone broth. The cheese curds were substituted with cubes of my Cauliflower and Zucchini “Cheese” that I posted about yesterday. This cheese tastes like a mild cheddar or processed cheese. And while it cannot compare to the texture of the traditional “squeaky” cheese curds, it does still add that mild cheese flavour. The heat of the sweet potato fries and the gravy melts the cheese slightly and makes it taste oh so rich…. Think of all those poutines you ate that had mozzarella and other melty mild-tasting cheese added. That is what this one is like! 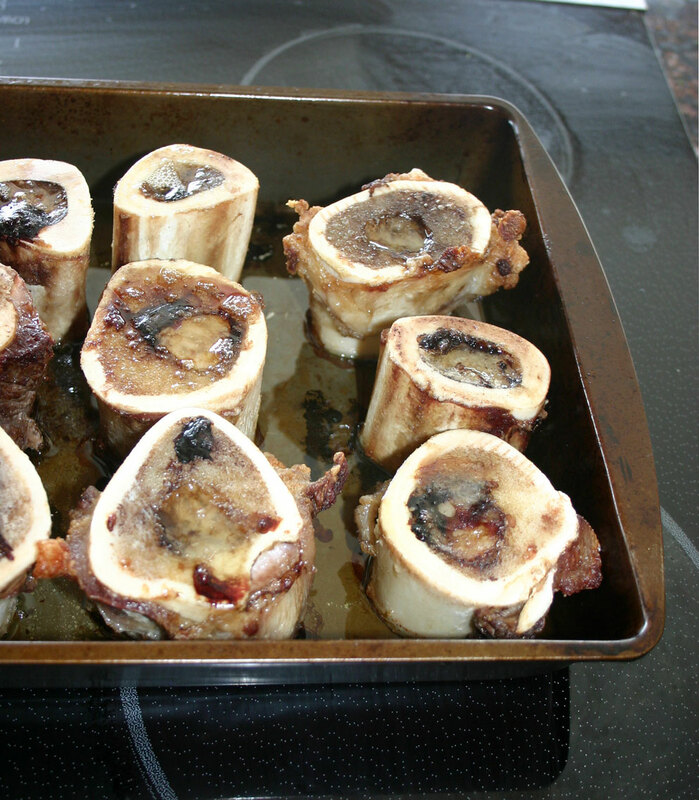 And then, “just because I could”, I added some grass-fed beef bone marrow to add extra flavour and richness. If you don’t like the idea of eating bone marrow, you could easily leave it out, and this dish will still be good…. in fact, if you did this, and used vegetable broth in place of the bone broth and agar while making the “cheese”, this could be a vegan dish! But if you can obtain some marrow bones, I really urge you to give this a try with the marrow included – it really does add to the flavour. 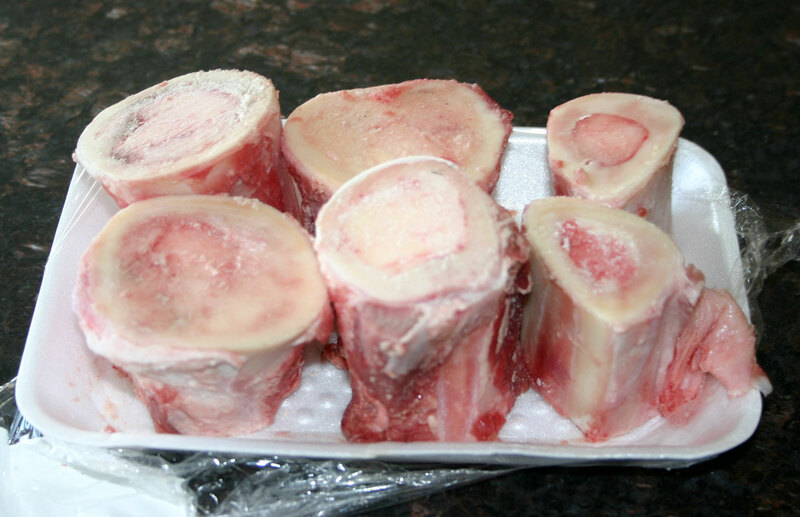 And bone marrow is very nutritious – full of “brain-feeding” healthy fats. And really, what is more decadent than a bone marrow poutine! The best bit about this recipe is that if you have made the “cheese” in advance, you can have it ready in under 1 hour…. Serve this next time you have friends over to watch the hockey, and you will have very happy friends! In fact, get yourself organized and you could have this cooking during the first period, and serve it while everyone is waiting for the second period to start! Perfect food for the Stanley Cup Playoffs! The first thing that you are going to do is to preheat your oven to 400°F (200°C). Peel the sweet potatoes, and cut them into fat fries – you really do not want skinny shoe-string fries here! Place the fries in a bowl and toss with 2-3 tbsp of the fat you have chosen (melt the fat first if it is a solid type). Season with salt, and spread the fries out in a single layer on 1-2 rimmed baking sheets. Place the sweet potato fries in the oven, and set the timer for 15 minutes. Place the roasting tin with the marrow bones in the oven below the sweet potato fries. While the fries and bones are cooking, prepare the gravy – melt the remaining 1-2 tbsp of fat in a heavy based pan over a medium heat. Add the onion and sautee until caramelized and browned. Add the garlic and thyme and cook for 1-2 minutes. Now pour in the bone broth and simmer for 10-15 minutes. When the timer goes off, take the sweet potato fries out of the oven and toss well. Return them to the oven and set the timer for a further 15 minutes. When the oven timer goes off again, remove the sweet potato fries and bone marrow from the oven and allow them to rest for 5-10 minutes while finishing the gravy. 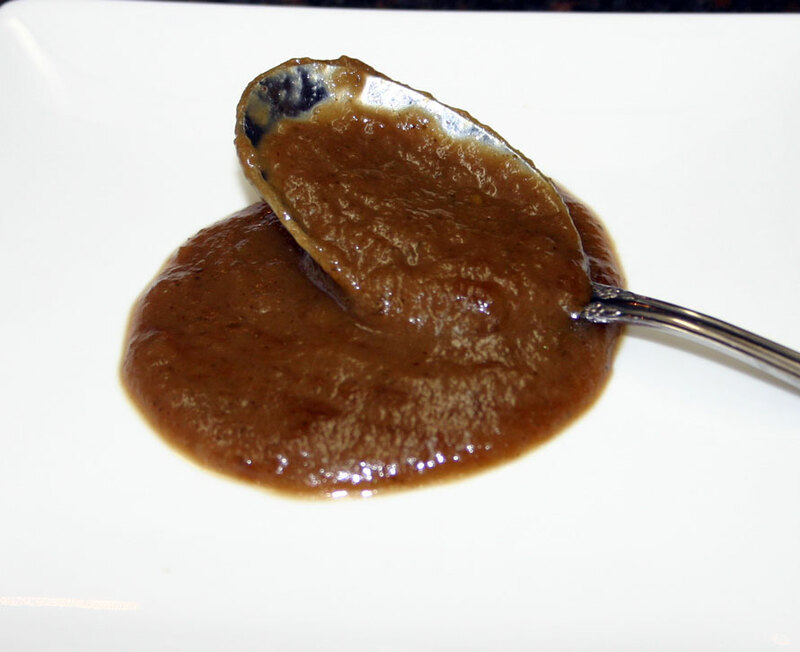 Use as stick blender to puree the gravy to a smooth consistency. Take the tapioca flour and mix with a little cold water to make a slurry. Mix this slurry into the gravy, and bring to the boil. Reduce the heat and simmer until thickened. Taste and season as necessary with salt. Place a portion of the sweet potato fries in the bottom of an individual serving dish. Scoop the bone marrow out of 2 of the roasted marrow bones and use to top the fries – don’t worry if it breaks up – that is fine… Just don’t waste any. You may need to use a small knife to cut around the bone cavity to release the bone marrow (if it comes out in one long piece chop it up before adding it to the fries in the dish!). If the bones are too narrow, use a chop-stick or metal skewer to poke it out… just get as much out as you can! (Reserve the bones for making bone broth). Make sure you either add any of the fat that comes out of the bone marrow to this dish or save it for future uses – it is a really nutritious fat. 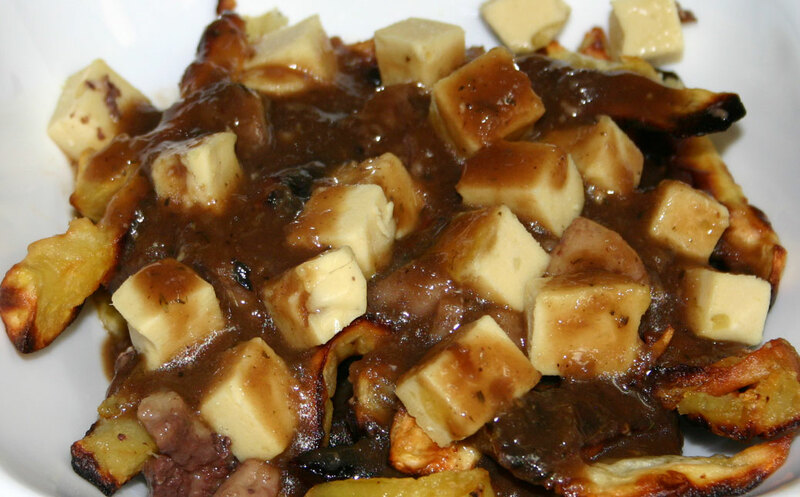 Scatter some of the homemade dairy-free cheese cubes over the fries, and top with a generous ladle full of the gravy…. It is worth bearing in mind that this is an incredibly rich dish, and it is very filling… the small amount shown in the picture above is roughly what each of us managed to eat – me and my 2 housemates (both of them guys)… we all felt incredibly satisfied after eating it…. But not uncomfortably full… this stuff gets into your brain and just tells it that “I have eaten enough”… bone marrow and the gelatin in the bone broth and cheese does that to you! 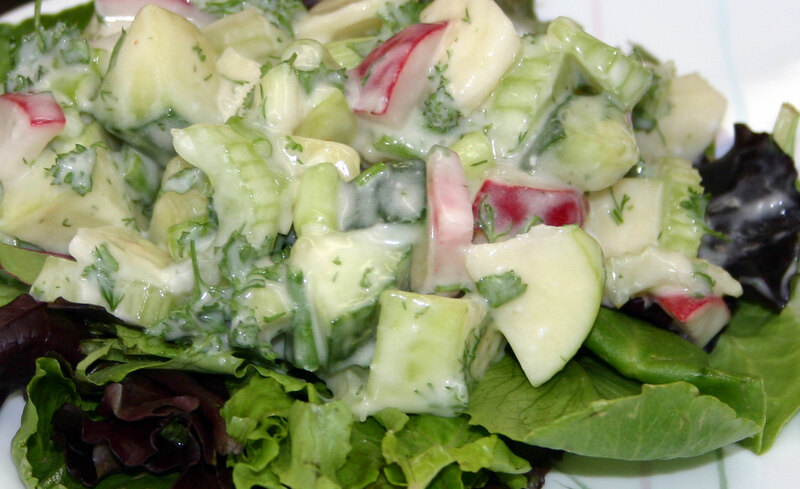 It is so incredibly nutritious that you really do not need to eat huge portions. 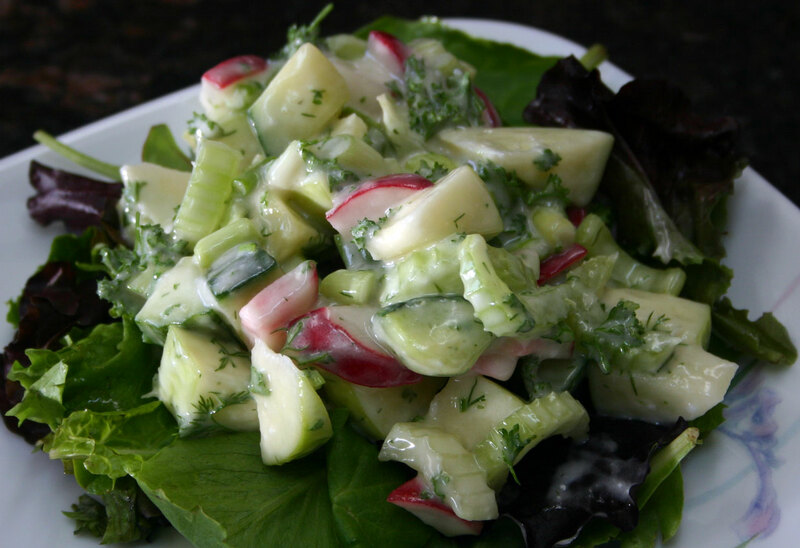 I would love to know if you try this recipe and what you thought of it…. and please, PLEASE! give it a try with the bone marrow at least once! 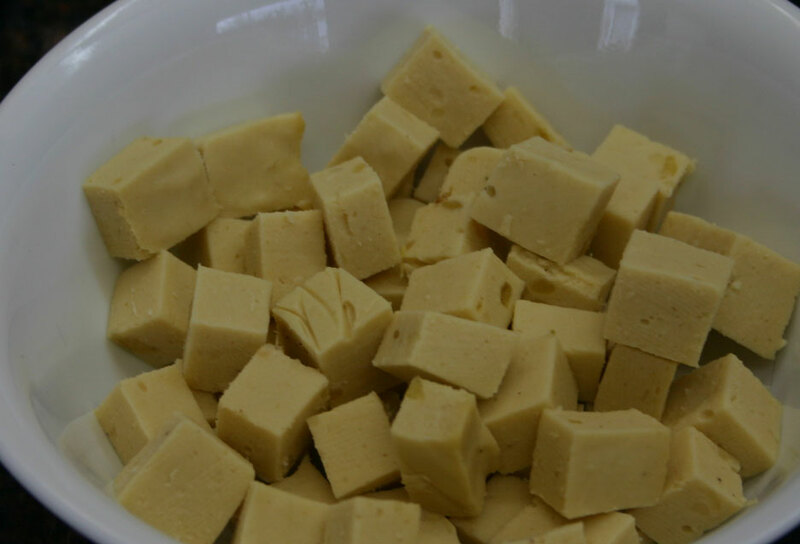 Homemade vegetarian/vegan cheese has been showing up all over Instagram and various websites thanks to a poster by the name of Haley Stobbs. As I did not have many zucchini, and I also wanted to give this cheese a little more “substance” than the original recipe had, I decided to use some steamed cauliflower as well. And the best bit? It melts! 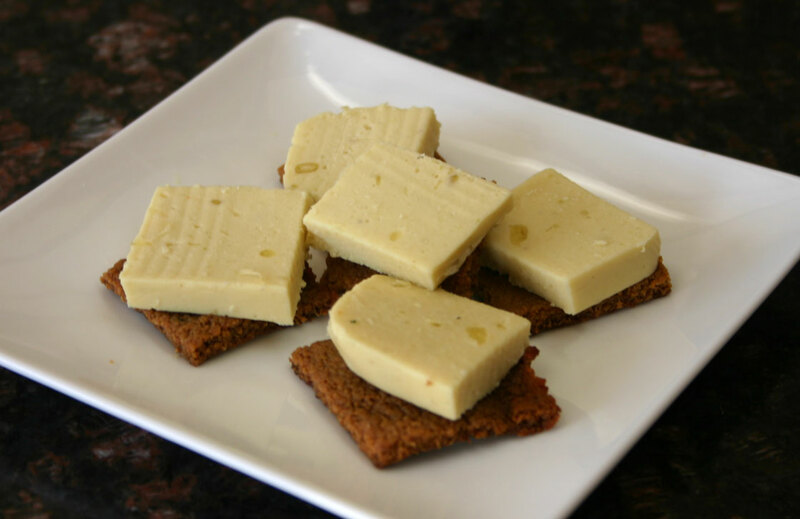 This cheese is 100% AIP, and can easily be made vegan by substituting agar flakes for the gelatin. I actually did use agar when I made this for the potluck as I wanted my dip to be vegan. I have also made it using Great Lakes Gelatin in order to take advantage of the gut healing properties that gelatin has. 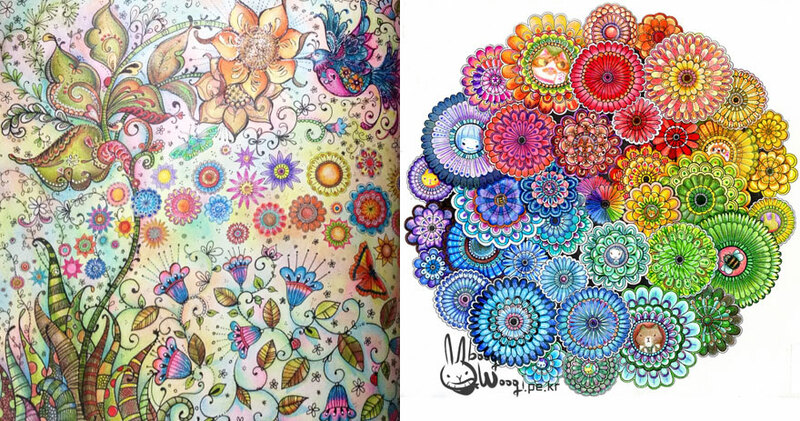 Either way, it works well. Place the cauliflower and zucchini in a steamer, and steam over simmering water for 8-10 minutes until tender. Place the cauliflower and zucchini in a food processor and pulse until smooth. Add the gelatin or agar powder while the puree is still hot and process until well mixed. Pour the mixture into a loaf tin lined with parchment paper. Chill in the fridge until well set. 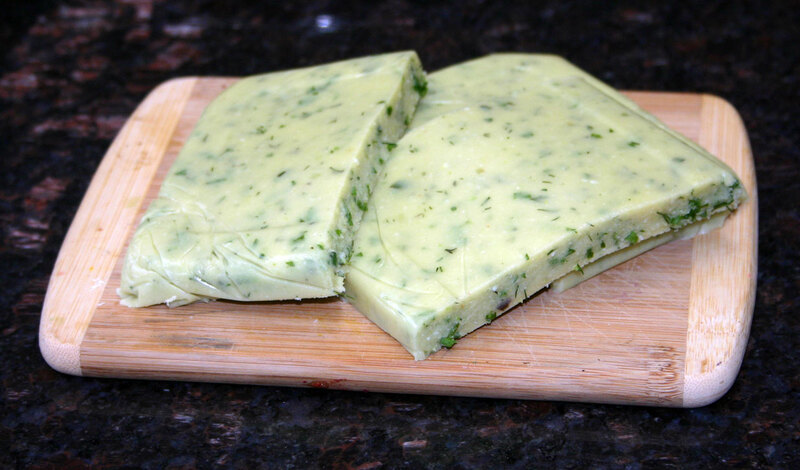 Optional: Add fresh chopped herbs (I like to use parsley, thyme, oregano and basil) and finely chopped garlic to make a garlic and herb “cheese”. This is one of the side dishes that I served along side the pork ribs that I made the other day. 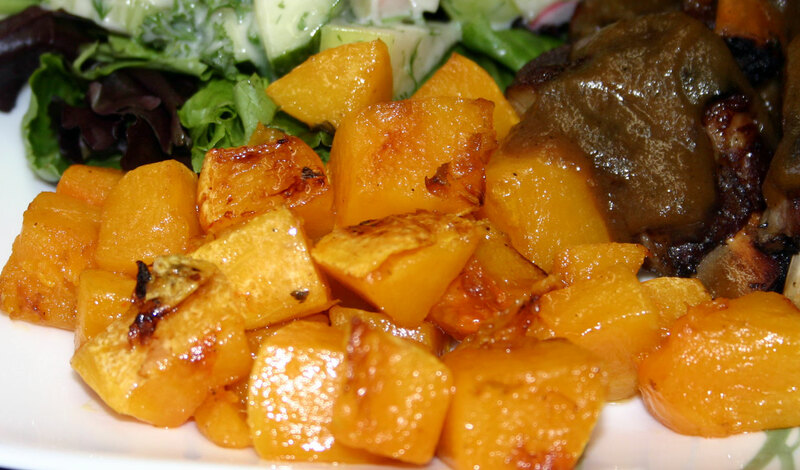 Roasting butternut squash concentrates the sweetness, and the slight caremelizing on the outside gives it a delicious flavor. This is a very easy way to cook squash, especially when you have the oven on for other things. Peel the squash, remove the seeds and cut it into 1″ cubes. Toss the cubed squash with the olive oil and a little salt. Place on a rimmed baking tray, and roast in the oven for 25-30 minutes until the squash is tender and starting to caramelize. I got a great deal on some pork ribs the other week, and they had been sat in the freezer waiting for me to come up with a recipe to use them. I modified my Tasty Intercostals recipe, as the rub used on these ribs contained a lot of non-AIP spices. Because of this, I created my own version of an AIP spice rub which I rubbed on the ribs before cooking them in the slow cooker on a bed of onions and apples. 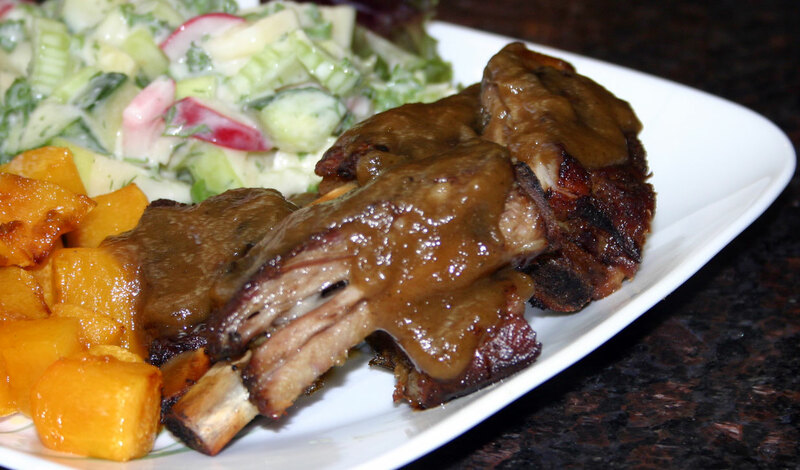 The ribs were then finished under the broiler to crisp them up slightly and brown them, and I blitzed the liquid, apples and onions in the base of the slow cooker to use as a BBQ sauce. These were some really tender, delicious ribs, and the sauce was, in my opinion, the best part. 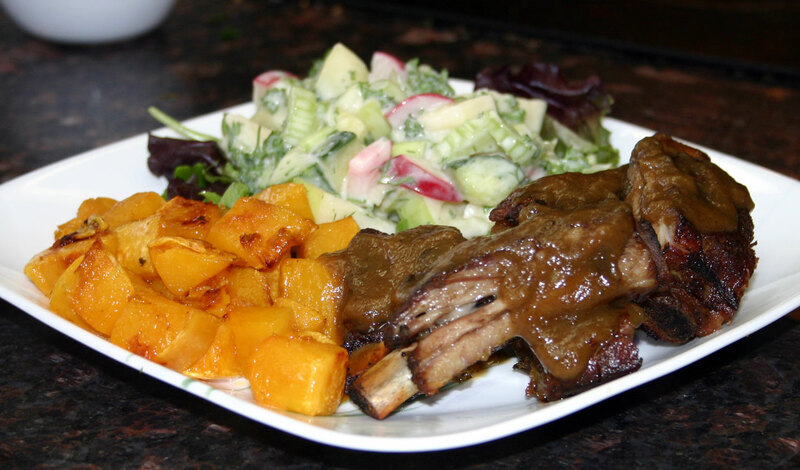 It was fruity, but also had a meaty, rich taste from the juices that had dripped out of the ribs as they were cooking. 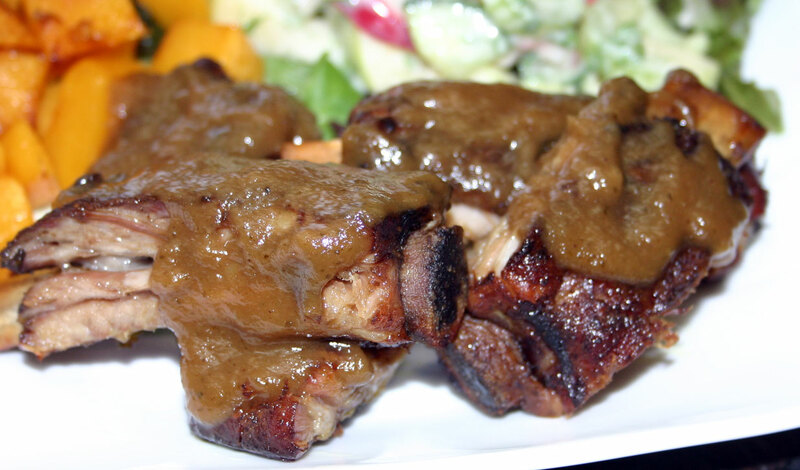 If you prefer though, you could always use some of my Saskatoon Berry and Peach BBQ Sauce… I bet that would taste wonderful too. Cut each of the racks of ribs into half. Liberally rub the spice mixture all over the ribs, ensuring that each surface is well coated. Place the sliced onion and apple in the base of the slow-cooker, scatter with thyme and pour over the orange juice. Sit the ribs on top. 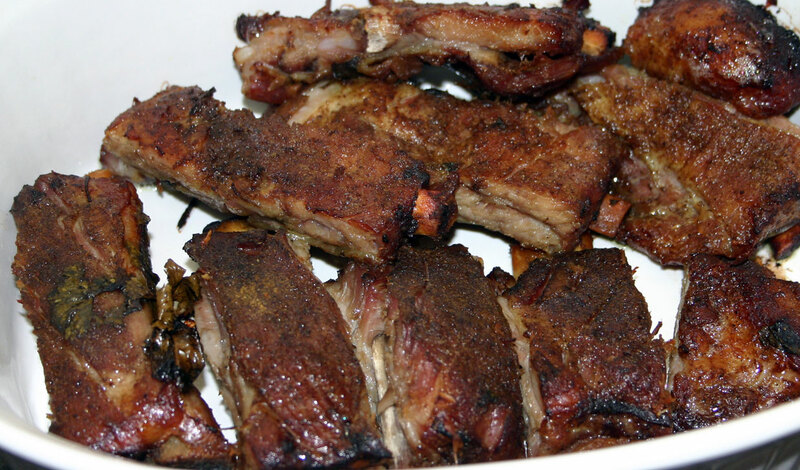 Once the cooking time is up, preheat the broiler to high and place the ribs on a baking sheet. Cook under the broiler until the ribs have crisped up and are nicely browned on both sides. Slice the ribs between the bones. 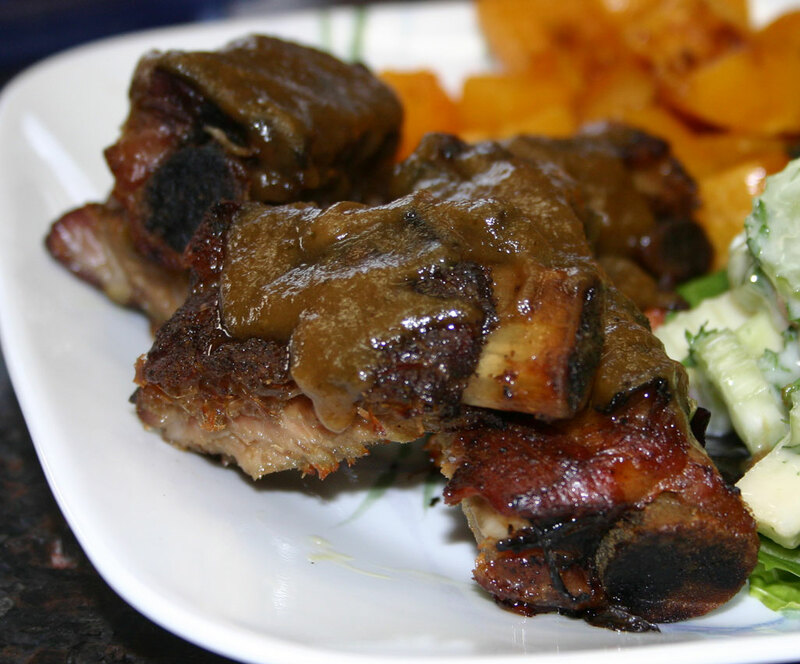 Using a stick blender, puree the contents of the slow cooker pot, and use this as a BBQ sauce to serve with the ribs. Mix all the ingredients together well using a spice grinder or food processor. Use to liberally coat the ribs. Store any unused rub in a glass airtight container. 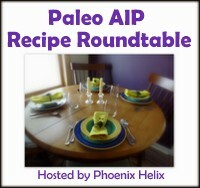 I served the ribs with the BBQ sauce, roasted butternut squash and an AIP version of a waldorf salad. I was lucky enough to buy some grass-fed beef fat from a local farmer. I blogged about meeting her here. I decided that I was going to render this fat down so that I had some homemade tallow to use in cooking. Tallow is the fat rendered from grazing animals (ruminants) like sheep or cows. When the fat comes from grass-fed animals it has a very healthy fat profile with almost a perfect omega-3 to omega-6 ratio (between 1:1 and 1:3). It also contains conjugated linoleic acid (CLA) which helps to reduce inflammation and promotes healing. 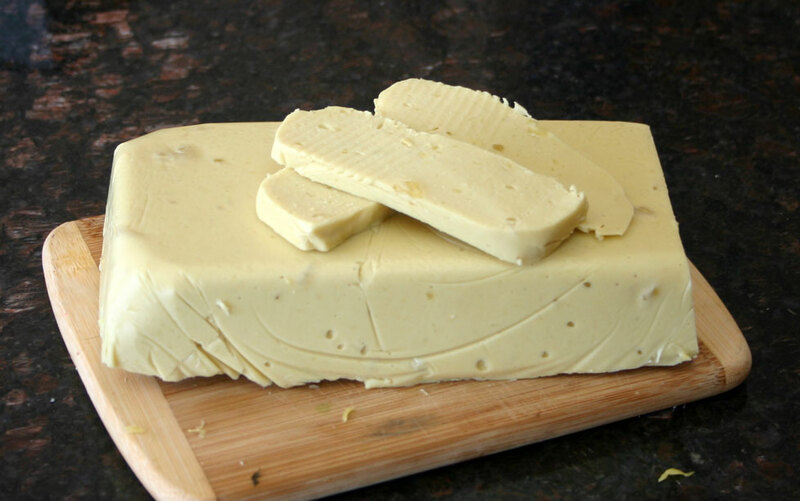 It is also a rich source of the important fat-soluble vitamins A, D, E and K.
All these healthy fats and vitamins mean that despite what we have been told in the past, grass-fed tallow is actually a heart-healthy cooking fat. 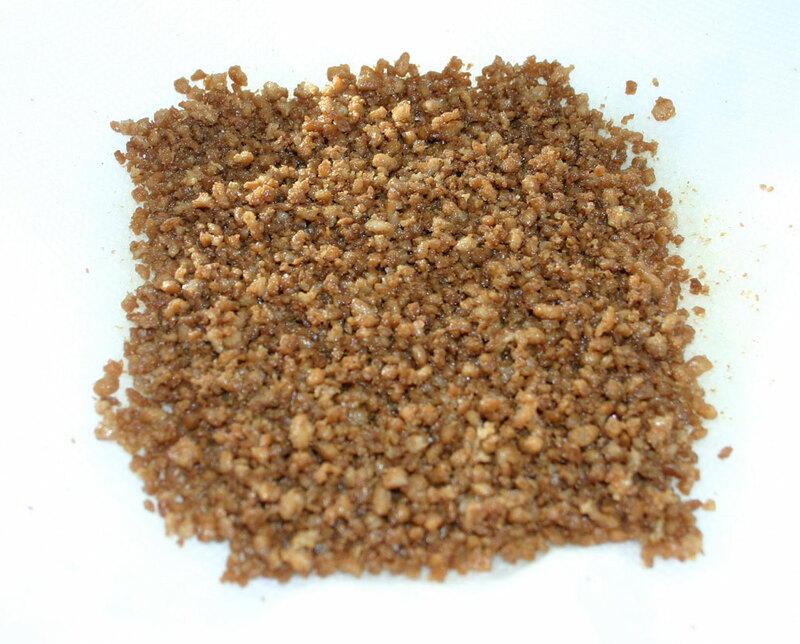 In addition, the main monounsaturated fat that is present in beef tallow is palmitoleic acid, which is highly antiviral and antibacterial. 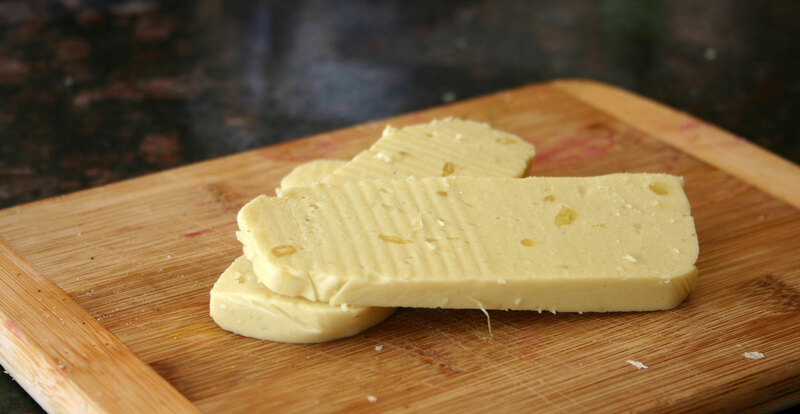 Beef tallow is approximately 55% saturated fat and 40% monunsaturated fats, both of which are very heat stable and highly resistant to oxidation. They do not easily produce harmful free radicals in the way that liquid vegetable oils do when heated. This means that it is ideal for high heat cooking such as roasting or frying, and it can be stored at room temperature for long periods of time. 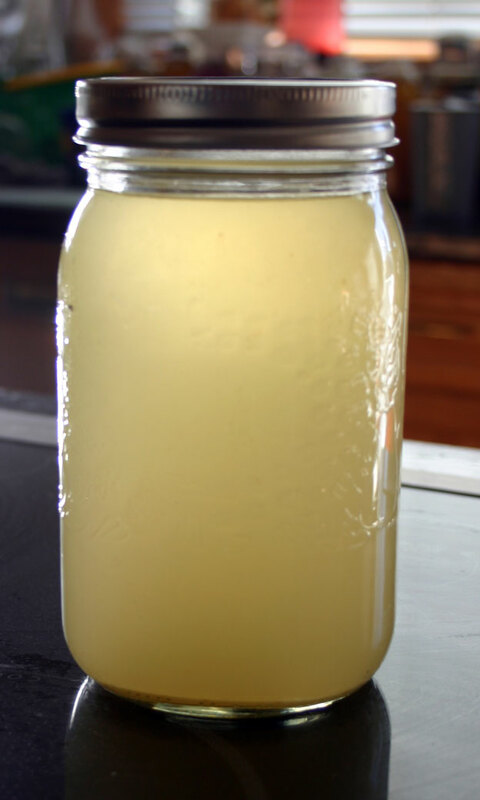 See this article for a run down of the fatty acid profile of grass-fed beef tallow. Tallow is solid at room temperature, and has a melting point around 110F. The flavour of tallow will vary depending on which animal the fat comes from. If the fat comes from cows (as my fat did), it will have a beefy taste. When the fat comes from sheep, it will have a more lamby taste that some people may find unpleasant unless they love the flavour of lamb (as I happen to). It can take a while to get used to the flavour of tallow in your food, especially if you are used to using a neutral flavoured fat or oil. My housemates found this a little difficult at first. I love the flavour however, and I barely notice it now. While there are places where you can buy grass-fed beef or lamb tallow (butchers that stock grass-fed beef are a good source), it is very easy to make at home, and it costs substantially less to do so. 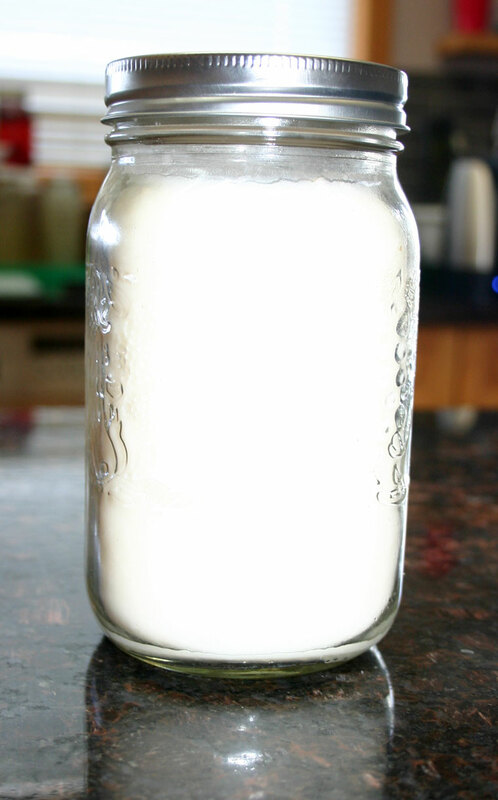 The first thing you need to do when making your own tallow is to find a source of grass-fed beef or lamb fat. As I said, I purchased mine from Rachel at Trails End Beef. Try asking at butchers who stock grass-fed meats. Ask at farmers markets. Google “Grass-fed beef” and find a supplier in your area. Any beef or lamb fat can be rendered down, but the suet or “leaf fat” that surrounds the kidneys is best. You can also trim off any fat that is on your grass-fed beef and save it to render down, or drain off and save the fat naturally drains off your grass-fed meat. 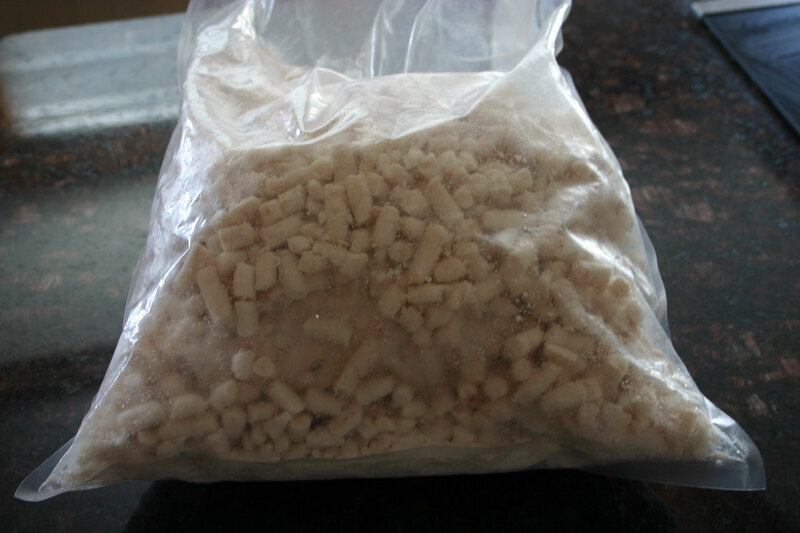 When I purchased my beef fat (mine was suet – the fat that surrounds the kidneys but you can use fat from anywhere in the animal), mine was chopped up into tiny pieces. If your fat is in one solid lump however, you need to chop it up. You can do this using a knife (takes time), you could put it in your food processor, or if you have a meat grinder, run it through that. And if you are purchasing it from a butcher, why not ask them to grind it up for you… most are more than happy to do so. The smaller you chop your fat, the greater the yield of tallow… so get that as small as you can. You also need to heat the fat as slowly and evenly as possible. This also increases the yield. 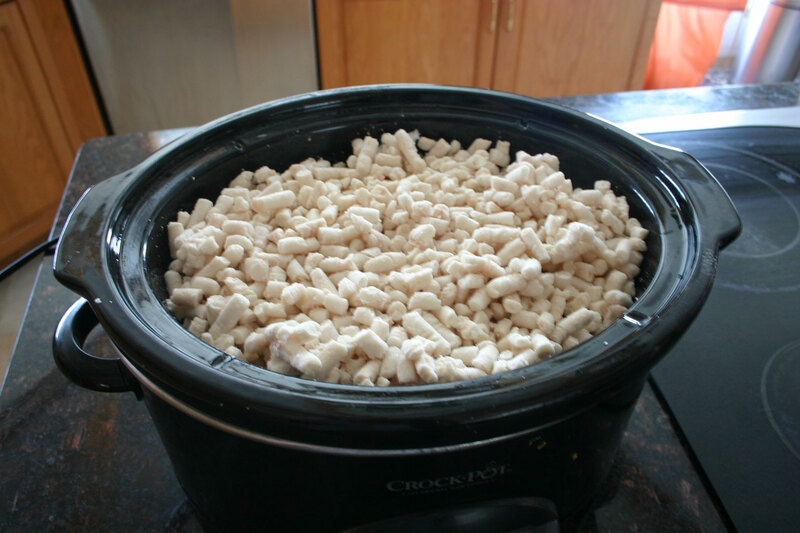 My preference is to use a slow cooker, set on low, to do this as it warms it very gently. This takes a long time – another reason why I prefer to use my slow cooker – I don’t have to stand over a pot on the stove, and I can just let the slow cooker take care of it. The tallow is ready once all the fat has melted. There will be some small floating bits which can be filtered out. I strain my tallow through paper towel set in a sieve. And then I store it in mason jars. Typically, I have one jar in use kept at room temperature, and I store any extra jars in the fridge until I am ready to use them. As far as yield goes, I find that 1lb of suet will make 1 pint of tallow. If your fat is in one large piece, you will need to chop it up and trim off any bits of meat, blood and cartillage including the membrane that surrounds it. Once trimmed, chop the fat into tiny pieces. You can use a knife or run it through a meat grinder. You can also use a food processor. This is much easier if your fat is very cold. 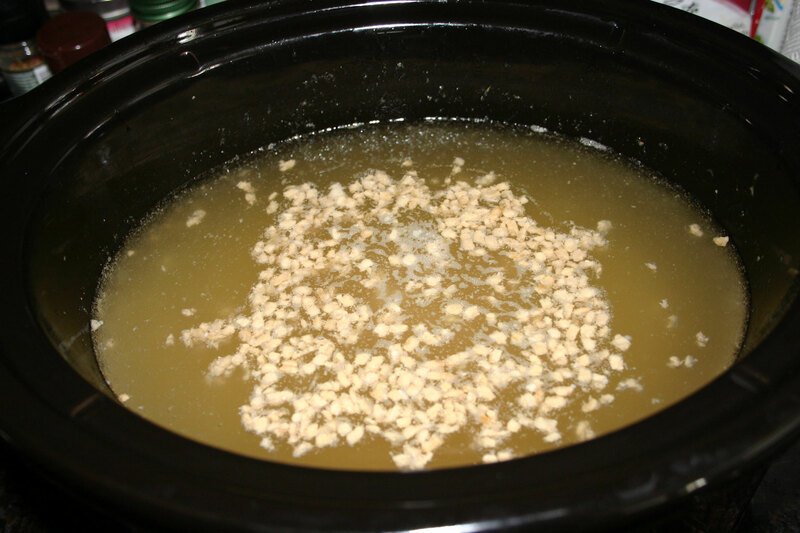 Place the fat into a large stockpot or slow cooker and use a very low heat to melt the fat. This will take several hours. Check the fat occasionally, and give it a stir. The fat is ready when it is clear, and there are small crispy bits floating at the top. Strain the fat through cheesecloth or paper towel to remove all the floating bits. Pour into jars and allow to cool and harden. Tallow can be stored at room temperature for a long time, but for long-term storage it is best to keep it in the fridge. Use your tallow for roasting, frying or in any recipes that call for shortening or lard. 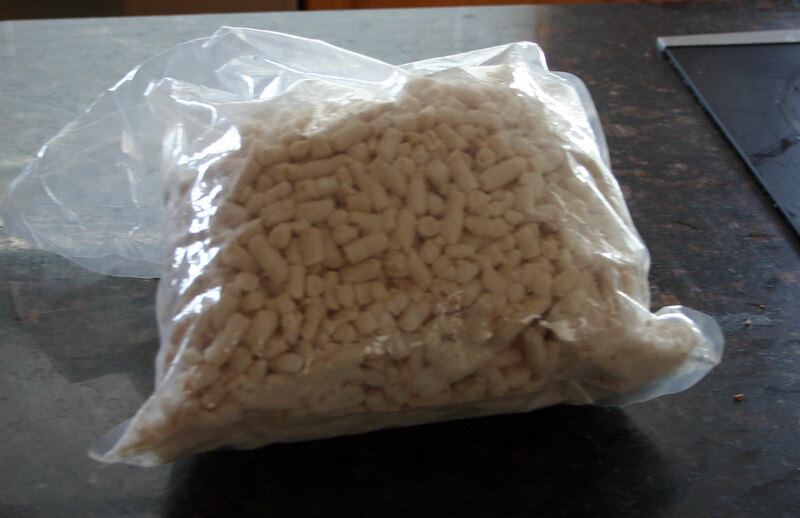 More information on beef tallow can be found here. These sausage patties are useful for breakfast, and they make a welcome change from the pork sausage ones that I have already posted about. They can be frozen uncooked, or they can be pre-cooked in the oven and frozen in their cooked state. The latter is simpler and quicker, as all you need to do is remove the patties that you need for breakfast the night before, allow them to thaw in the fridge, and then reheat them in the morning. The method for freezing the uncooked ones can be found here. Mix the ground beef together with the herbs and the salt. Divide the mixture into 12 equal sized balls, then pat them out with your hands to form 12 patties. 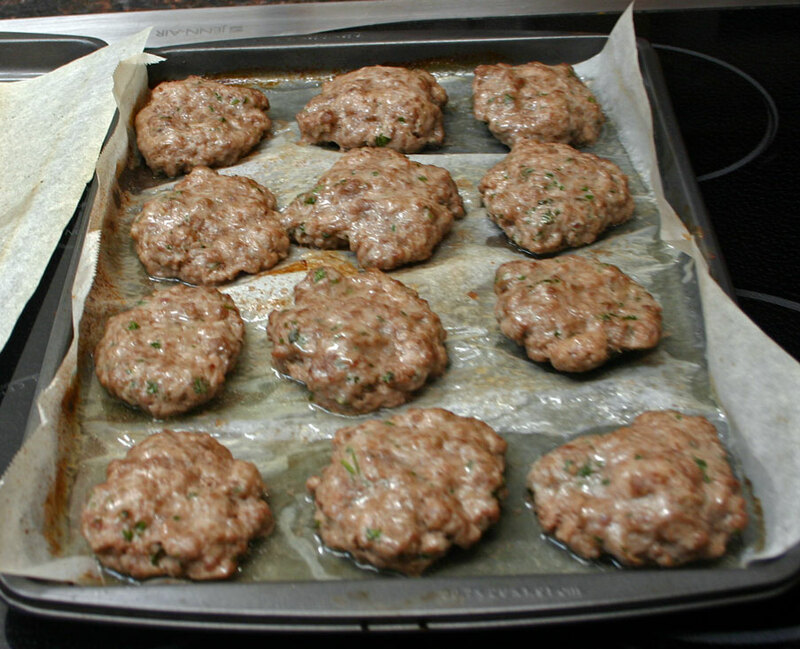 Place the patties on a rimmed baking sheet (lining the baking sheet with parchment paper makes for an easier cleanup). Bake the patties in a 400°F oven for 20 minutes until cooked through. Alternatively, the patties can be cooked in a heavy skillet for 5-7 minutes per side. Serve the patties at once, or cool them and freeze. 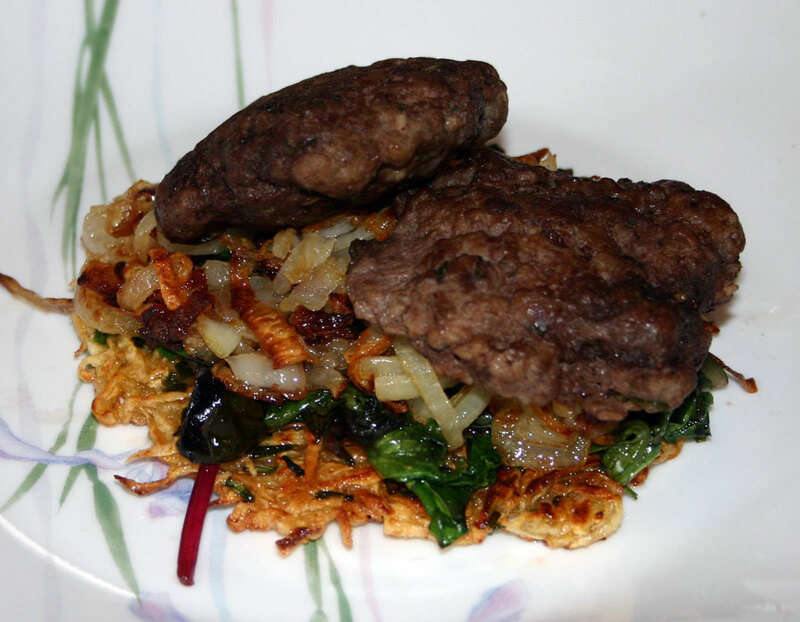 To reheat the thawed patties, return them to a heavy skillet and cook for 3-5 minutes per side until warmed through. 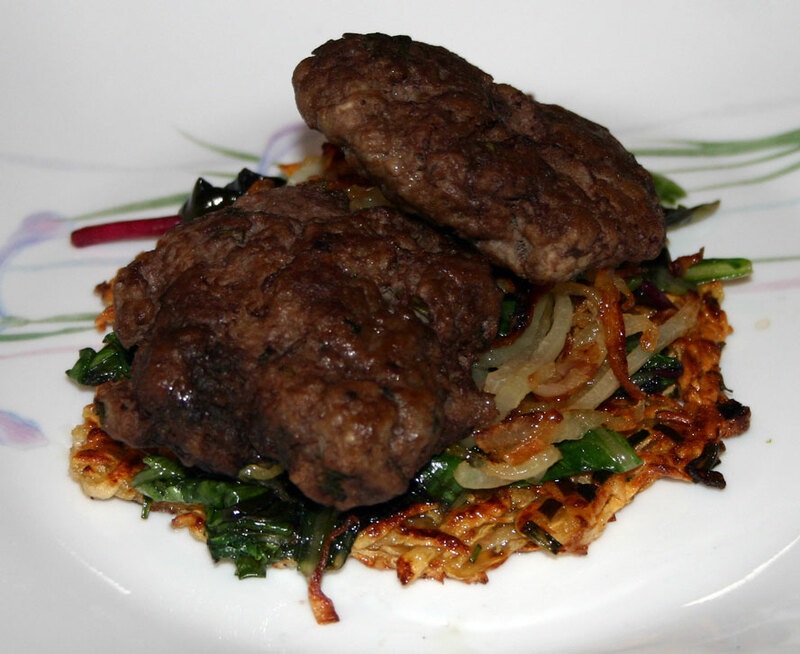 The patties in the picture above were served with caramelized onions, sauteed baby chard and rutabaga hashbrowns.